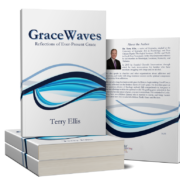 Because grace is challenging to understand it is also initially hard to trust. I doubt most Christians either understand or trust grace. This is clear from the fact that joy is a Christian birthright, but joy is generally absent among Christians. Let’s face it, we do not have a great reputation. Christianity is not rejected because the adherents appear joyful. So why is there so little joy among us? Because we do not trust grace. It is far easier to fall back to judging and evaluating people around us, and to having a checklist religion, than it is to trust that because God works through grace, so should we. Some of Paul’s earliest critics mistrusted his teaching about grace. “Shall we go on sinning that grace may abound?” is a question and accusation from his critics who believed that if grace is so readily available then people will use it as an excuse to sin, like children on the last day of school throwing paper in the hallways and leaving the water running in the bathroom sinks. Without the threat of judgment is there truly a motive for right living? This is the reigning suspicion of grace. Judgment and fear, to a degree, can conform the outward life to a certain standard, but only grace can change a person from the inside out, and that is the key. Jesus shifted the focus of faith from legalism to grace, and grace transforms mere obedience into longing. God’s love through grace changes us to people who love holiness and live for God’s glory because of our love for Him. We simply have to trust God’s work through grace, and engage in that work ourselves.